Using the right grease for your equipment and machinery is crucial to extending its service life and overall lifespan. The best place to find the recommended grease for your machine is in the owners manual. You should be able to find it under “lubrication”. There are national and global standards for grease so once you find the recommended grade you will be able to choose the correct grease. 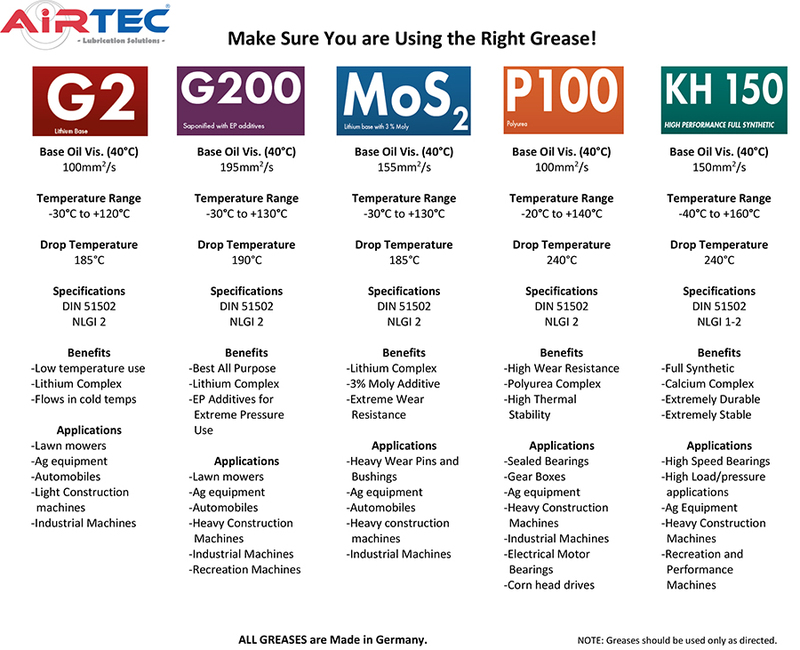 Below you will find the technical data for AirTec Lube Shuttle Greases and some of their recommended uses. AirTec uses nothing but the highest quality oils, thickeners, and additives in their Greases to ensure your equipment keeps running smooth and headache free! All of our greases are made in Germany and held to the highest standards!